There’s a sweet spot in my heart for that little village and beach and those black run “A frame” peaks at low tide. Croyde Bay was home for years before I moved over the hill to Woolacombe and it still pulls me back every once in awhile for those punchy waves and good friends that I haven’t seen for ages. Relaxed morning walks around Baggy Point and beachcombing over Downend Point with my little dog followed by liquid refreshments at The Thatch and Billy Budds pubs. Croyde has changed over the years, but some things will always stay the same. 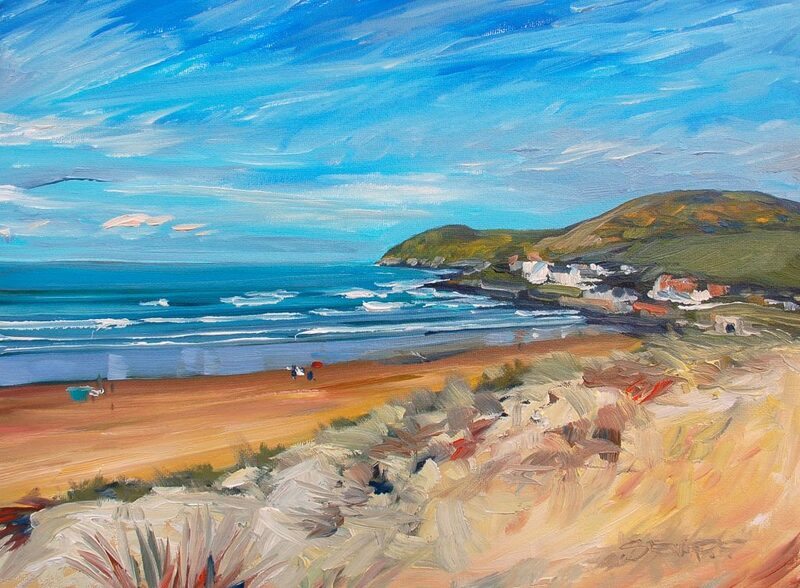 I’ve just added seven new Croyde Bay prints to my website. I hope you enjoy my latest selection of unframed prints celebrating some of my favourite memories of living , surfing and painting in Croyde.